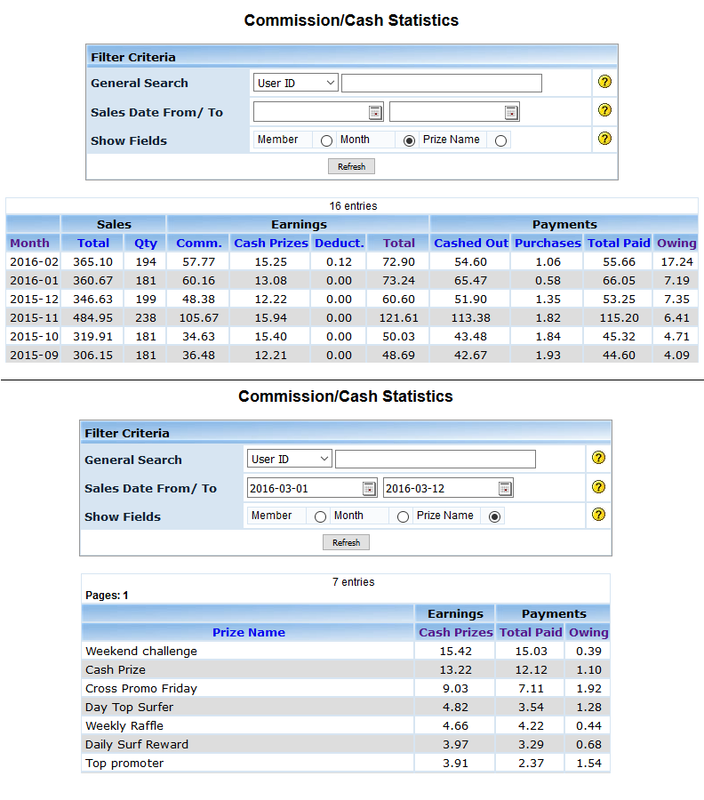 Enhance your Commission Page in your member area, showing a summary of Commissions and Cash Prizes earned by the member. All paid commissions are removed from the list but they can be shown by clicking in the "Show History" link. What about how much money are you given in commissions and prizes? by member, by month or by prize? Are you giving too much money in prizes? Which mods are giving more money than you expected? Which members are your top sellers and which ones are getting more cash from prizes? These and more questions can be answered with the Commission and Prize Statistics in your admin panel included in this mod. 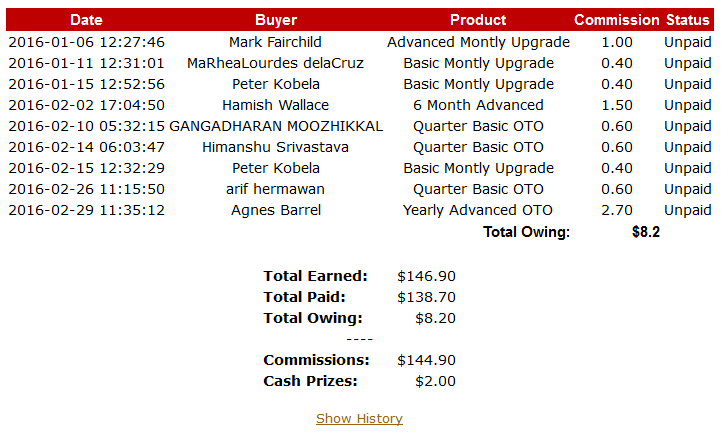 Macros to show total earnings of the member in the member area. Admin page where you can see useful statistics about commissions and prizes (you may get shocked with this information). File m_comm.php is updated by the installer but it is not overwritten.